The team of New Jersey consumer product defect lawyers at the law firm of Martin Kane Kuper LLC fight tirelessly for victims of serious injury caused by defective consumer products. They work for both defendants and plaintiffs statewide in New Jersey and in Middlesex County. Martin Kane Kuper LLC, with its team of experienced New Jersey consumer product defect lawyers, is one of the few remaining law firms that still practices in this contentious area of litigation. Defective consumer products can affect anyone and the trial lawyers in our law firm have won large court-awarded settlements and verdicts for customers around New Jersey. Our New Jersey consumer product defect lawyers have won large awards in areas involving defective consumer products or unsafe industrial conditions. This team of lawyers has routinely taken physicians and hospitals to task for a wide range of wrongful deaths and injuries related to defective consumer products. Large awards have been won for clients in such areas as automobile defects (defects in air bags, seat belts or brakes, or badly designed vehicles that are prone to both rollover and roof collapse), industrial machinery, (presses, cutters and other workplace machines with inadequate guards or safety mechanisms), consumer products (ladders, power tools, appliances, swimming pools, dangerous toys), and building materials (defective glass, roofing products, fasteners, supports and couplers). New Jersey law puts a time limit on the discovery process and the window to file a product liability lawsuit as little as two years from the date of injury. 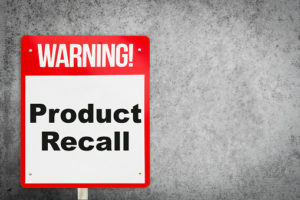 It is important to contact a product liability lawyer as soon as possible to preserve evidence and locate the right experts who can corroborate a design flaw, manufacturer defect or insufficient warning labels. The Martin Kane Kuper LLC partners have nearly 100 years of combined experience and three of them have been certified as trial specialists by the New Jersey Supreme Court and by the National Board of Trial Advocacy. Contact us and tell one of our New Jersey consumer product defect lawyers about your issue. The team of Martin Kane Kuper LLC lawyers will provide a true assessment – as part of a free, no-obligation consultation – of whether you should pursue your claim.